4k00:09Green-barred woodpecker (Colaptes melanochloros), in the Pantanal wetlands, Brazil, 4k. hd00:34Chipping Sparrows (Spizella passerina), springtime in Georgia, landing on holly branch . Slow-motion, 1/2 natural speed. hd00:37Bar-tailed pheasant male Ferret for food in nature on Doi San Chu; Chiang Mai Thailand. 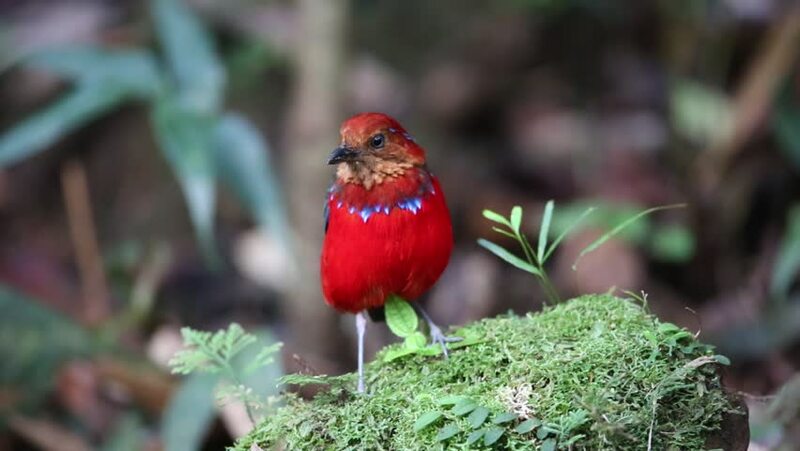 4k00:23Shot of reddish bird in Rio Brazil. hd00:30Bright red male Cardinal bird eating seed, closeup.